Properties in Saint-Saturnin average 4.7 out of 5 stars. Property 3: House 8 places 300m from the space CARAT. 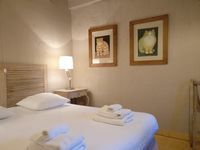 Property 5: Beautiful residence in CharentePoitou in the middle of the vineyards. Property 16: Spacious 5 bedroom house with swimming pool in fully enclosed garden. Property 18: Luxury apartment with terrace, sauna, tennis, and heated pool. Property 40: Luxury apartment with terrace, sauna, tennis, pool. Beautiful Cottage **** in a rural hamlet, private garden, heated pool. 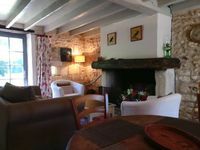 Property 49: Beautiful Cottage **** in a rural hamlet, private garden, heated pool.